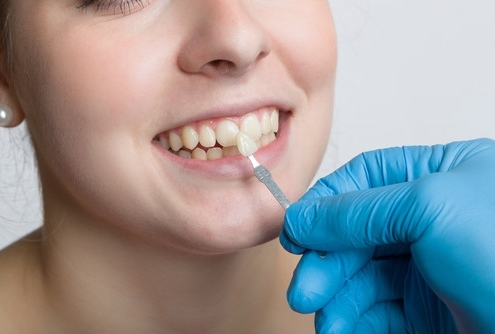 Cosmetic Dentistry Procedures | Grand Dental P.C. Teeth in a Day You Say? Make great first impressions with healthy, happy smiles from your Colorado dentist.It’s time to end the embarrassment and stop hiding your mouth behind your hand. Grand Dental in Colorado is your one-stop shop for life-changing dental procedures. Dr. Eric Benefield and his talented team have the skills and experience to treat oral problems that range from the simple (cavities) to the complex (full mouth reconstructions). We also focus on the safe removal of amalgam, cosmetic dentistry, sedation and dental implants. Some patients want freedom from uncomfortable dentures and damaged teeth, while others want a quick smile touchup. Whatever your problem, your Colorado dentist can help. After listening to your concerns, Dr. Benefield will conduct a thorough evaluation of your mouth and jaw before recommending a procedure. He wants you to make informed decisions about your oral health, so he makes sure to discuss all available treatment options. Get a confidence boost and improve your life with comprehensive dental services at Grand Dental in Colorado. From root canals to dental implant placement, we have the equipment and expertise to create healthy mouths for life. We also provide sedation dentistry for patients with dental anxiety or those who want a truly comfortable experience. We believe that the prettiest smiles are the healthiest. Our cosmetic procedures are not just for improving aesthetics but also function. Professional teeth whitening lightens your teeth several shades in one appointment, custom veneers correct chips, cracks and gaps and CEREC crowns restore badly damaged teeth. What’s more, all of our services are done in-house so you don’t have to run around town to get dental care. Get the smile you’ve been dreaming of at a place where you are treated like family. Visit your Grand Junction, CO dentist today or call 970-315-3718 to schedule a consultation. Tuesday 8:00 a.m. – 4:00 p.m.
Thursday 8:00 a.m. – 4:00 p.m.